Celtic wedding dresses are known for their unique charm and appeal. To know more about traditional Irish wedding dresses, read on. Celtic wedding dresses are known for their dramatic style and opulent fabric. Popularly known as traditional Irish weddings dresses, they give you an opportunity to appreciate and exude your fascination towards Renaissance style as a way of life, in general, and dressing way, in particular. Moreover, owing to the charisma of dresses belonging to Renaissance era, Celtic wedding dresses not only look traditional but fashionable as well. They can even be worn by bridesmaid and other women attending the wedding party. Celtic wedding dresses are usually prepared keeping in mind the body of the bride, so to accentuate her curves and contours, perfectly. It is for this reason the bride should know the exact type of look she wants to don on her wedding. The good news for Irish brides is that there are is a wide variety available with regard to color, fabric and style than the regular bridal outfit. One of the biggest freedoms that can be enjoyed while getting a Celtic wedding dress prepared is that you can choose from amongst rich colors, such as deep red, green and even blue. This is apart from the white wedding gown, which still remains a classic. 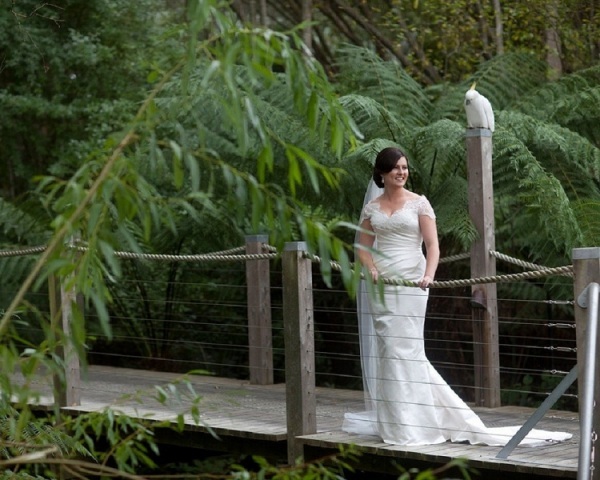 Celtic wedding dresses can be both formal as well as informal. The varied styles can include an overdress worn over a simpler dress or bodice or an elegant one piece style, as per the choice of the bride. Irish gowns are usually adorned with loads of flowing fabric, which dangles specially from the sleeves. They can be made from varied fabrics, such as silk, velvet, cotton or lace. The gowns can either be heavily ornamented or simple and sleek. The matching accessories that can be well blended with these outfits include shawls, jackets, etc. in other words, Celtic wedding dresses are ideal attire for a romantic wedding day. One of the best places to buy a Celtic wedding dress comprises of the online shopping stores. Apart from a wide variety of options, you will be able to get better prices as well. However, rather than picking the size available and then getting it altered, check out the sites that offer custom-made dresses, suiting the measurements of the bride. Apart from the internet, you can get the dress made from a local tailor as well. Then, there are several stores as well, which offer Celtic wedding dresses. Whatever option you choose, make sure to look around for different styles and prices and pick the one that suits you the best. There are some traditions associated with Celtic wedding dresses. If you want, you can include them in your own wedding as well. It is believed that having the last stitch of the wedding dress finished on the morning of the wedding day brings a lot of luck for the bride-to-be. If the bride happens to tear her dress 'accidentally' on the wedding day, it is considered to be a sign of good luck. It is considered bad for the bride to put on the veil herself, on her wedding day. Rather, she should have a happily married woman put it on her.